The Legends Luncheon is just one of the programs held by the Memorial Tournament to benefit central Ohio charities. Officials of the Memorial Tournament presented by Nationwide have announced that the 39th playing of the prestigious invitational, held May 26–June 1, 2014, raised a total of $1,800,000 for charitable organizations in central Ohio, including a record-setting $1,322,186 for Nationwide Children’s Hospital through an alliance with the Nicklaus Children’s Health Care Foundation. Since its first playing in 1976, the Memorial has eclipsed $23.5 million in donations to central Ohio charities, with more than $13 million going to Nationwide Children’s Hospital. True to the hearts of Jack and Barbara Nicklaus, the Memorial Tournament presented by Nationwide includes as one of its primary objectives a genuine, philanthropic vision. Embodied in the Memorial’s longstanding partnership with Nationwide Children’s Hospital and support of the Memorial Tournament Neonatal Intensive Care Unit, pediatric care is at the center of each campaign and event these entities jointly execute. 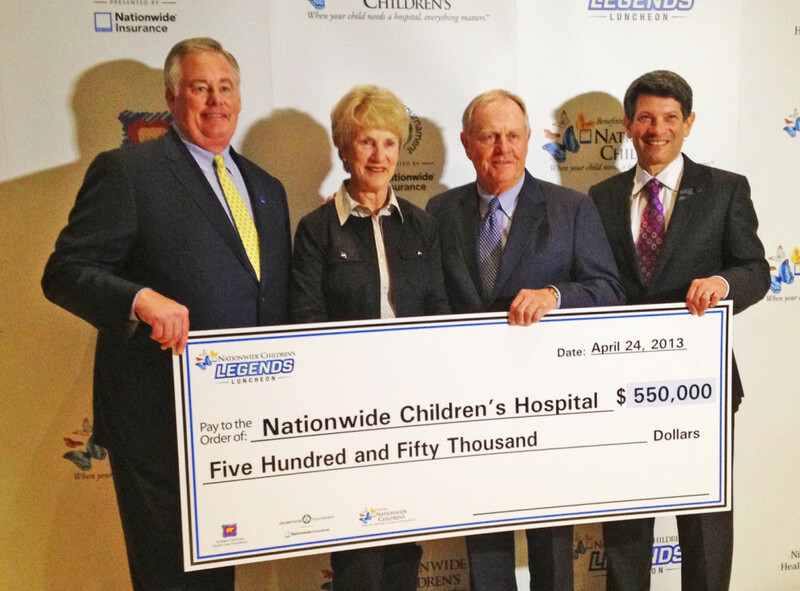 Nationwide, which has been the Tournament sponsor for five years, shares a similar tradition of support for Nationwide Children’s. Nationwide is committed to broadening the impact of its presenting sponsorship of the Memorial Tournament to bring greater awareness and increased funding to Nationwide Children’s and to those who benefit the most – families and children in need of care. The 2015 Memorial Tournament is scheduled for June 1–7 at Muirfield Village Golf Club. The public may call the Tournament Ticket Office 9 a.m.–5 p.m. weekdays at 877-MT BADGE or visit http://www.mtbadge.com to purchase badges. Kids 16 and under can attend for free with a ticketed adult, and kids 18 and under are admitted free on Wednesday, June 3, 2015, for Junior Golf Day. Daily practice round tickets for Monday, Tuesday and Wednesday are also available. The introductory cost is $35 through March 6, and they are valid for all three practice-round days.